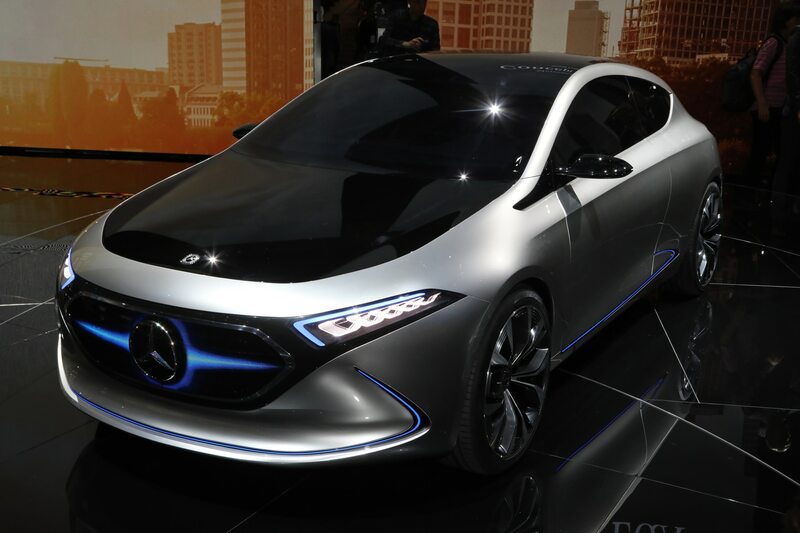 Mercedes-Benz gets small. 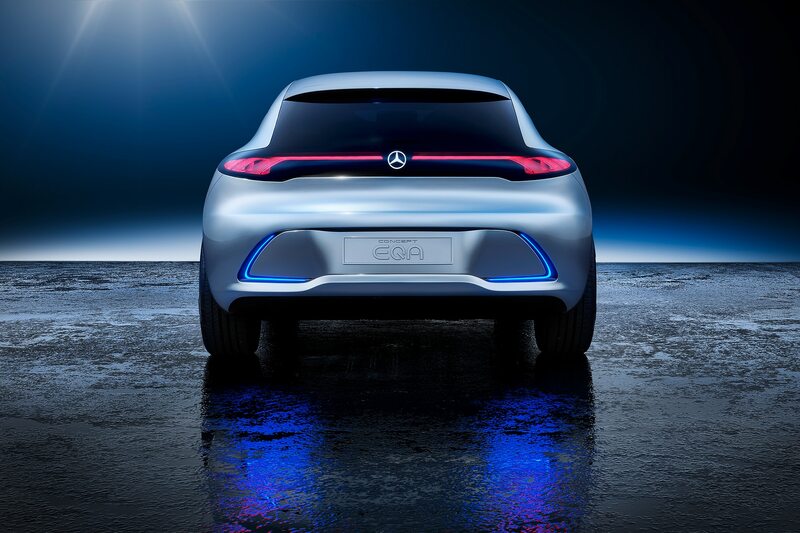 The all-electric, compact Mercedes-Benz Concept EQA lit up the 2017 Frankfurt Motor Show for its global debut. 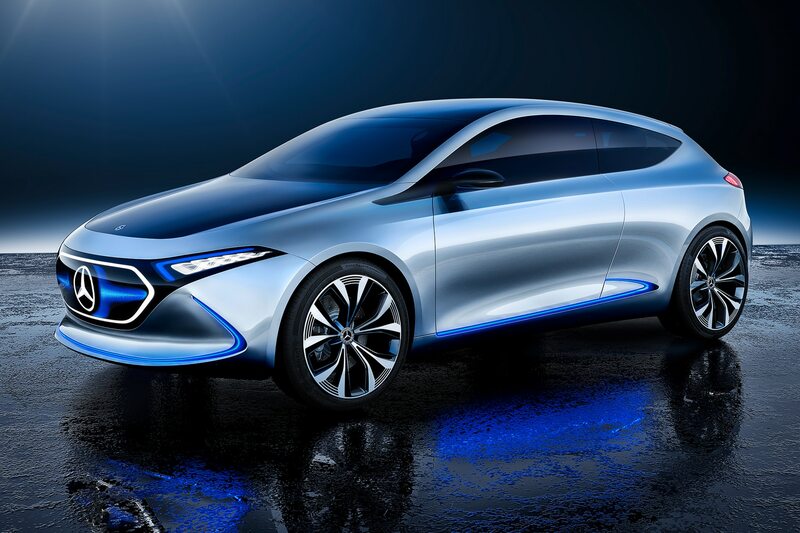 First impressions reveal what looks like a tricked-out, modernized B-Class EV with laser fibers for lights, a black grille that changes looks depending on its mode, and a claimed 250 miles of range. 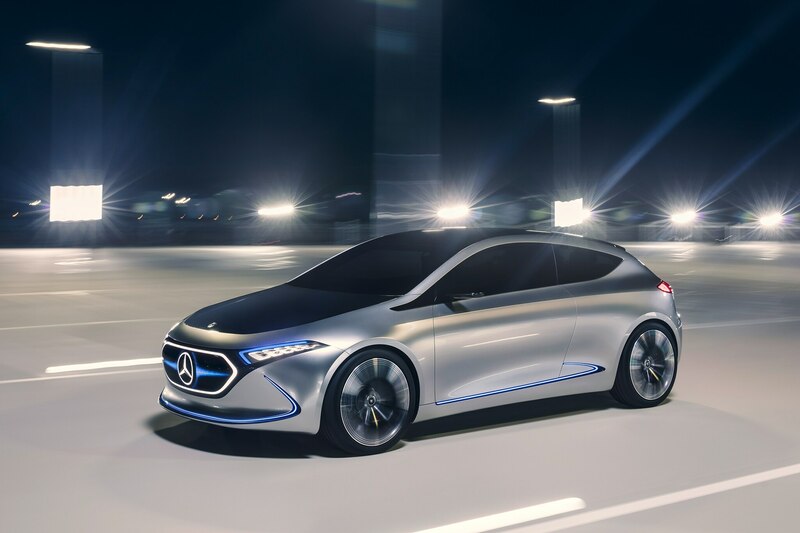 That’s a noticeable improvement over last year’s all-electric B-Class compact’s range of 87-miles and an interesting peek into the future of the brand’s all-electric direction. 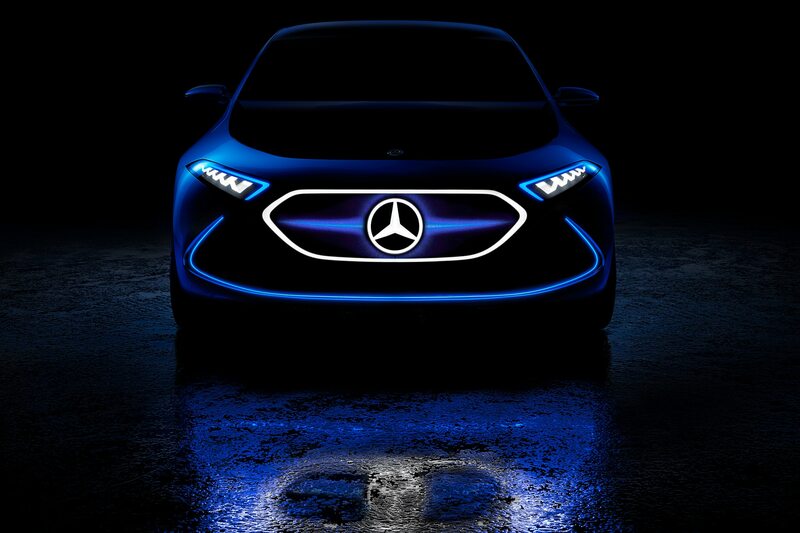 Mercedes-Benz’s latest EV follows the Concept EQ SUV that made its flashy debut at last year’s Paris Motor Show. 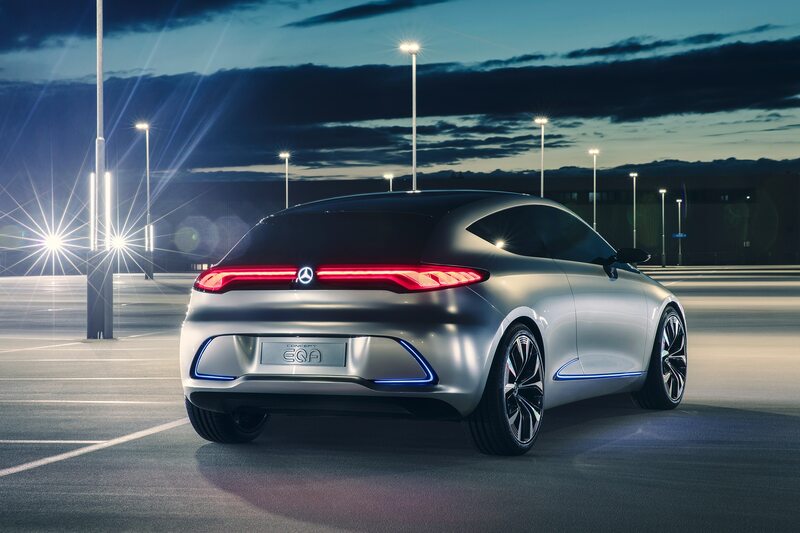 That vehicle also launched the EQ product and technology brand—EQ stands for Electric Intelligence for those keeping track at home. Besides Concept EIA sounds, well, ludicrous, right? 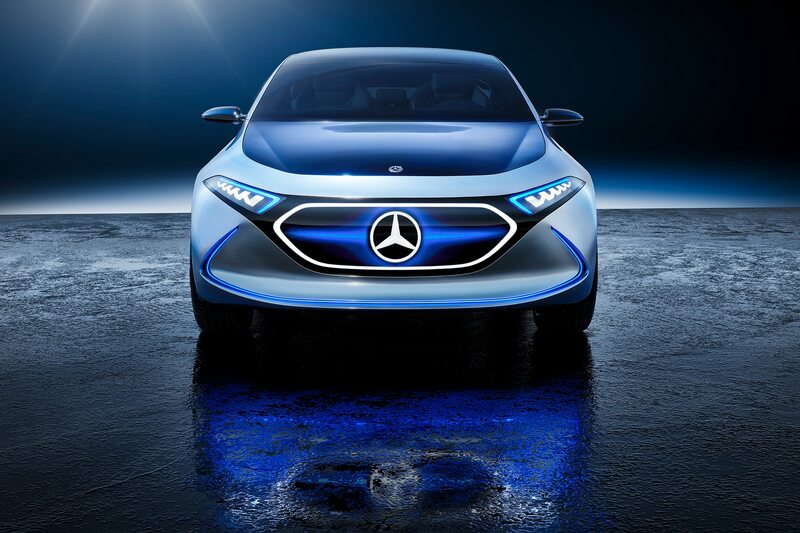 “Our electric initiative is gathering pace—by 2022 Mercedes-Benz Cars will have launched more than ten all-electric vehicles on the market,” said Dr. Dieter Zetsche, Daimler AG CEO and Mercedes-Benz head, in a statement. 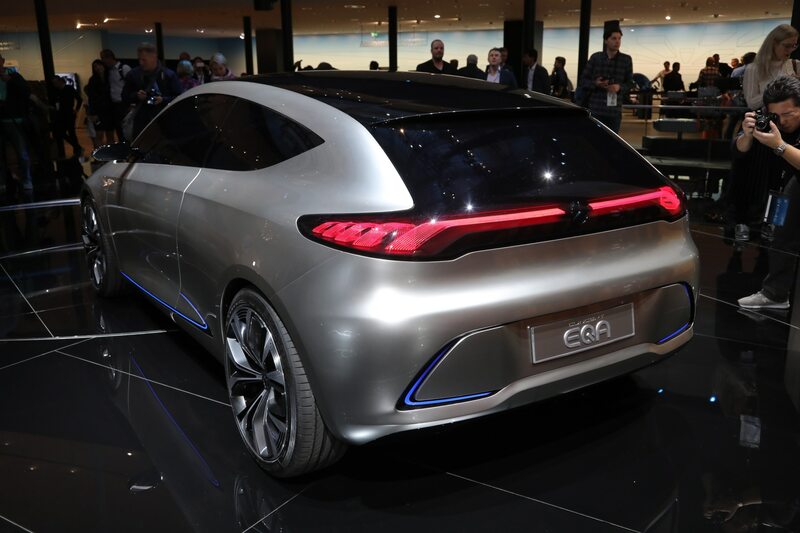 To hit the zero to 60 mph mark in “about 5 seconds,” the futuristic Concept EQA has one electric motor at the front axle and another one at the rear. 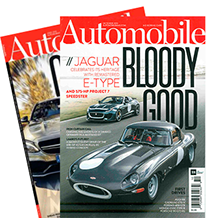 Mercedes states that total output is over 268 hp and maximum torque is over 368 lb ft, which sounds like plenty of fun given the car’s small size. 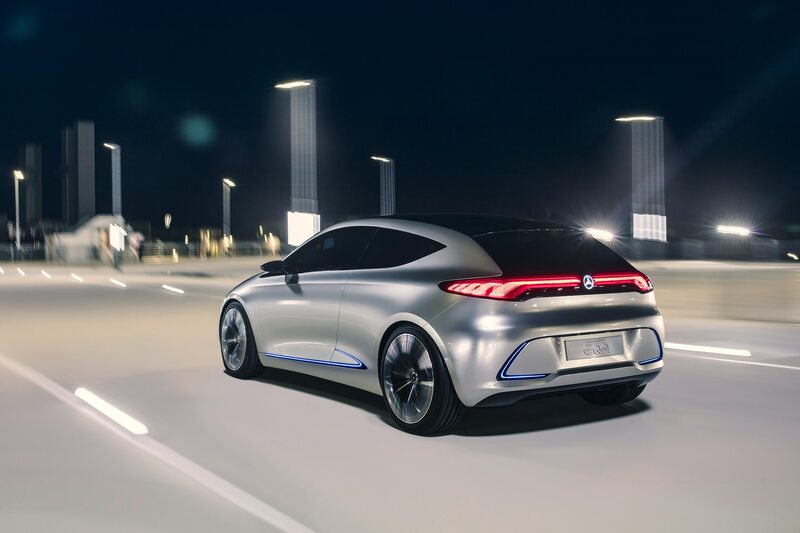 The concept’s electric all-wheel drive system features axle-variable torque distribution and the battery is installed in the floor between the axles. 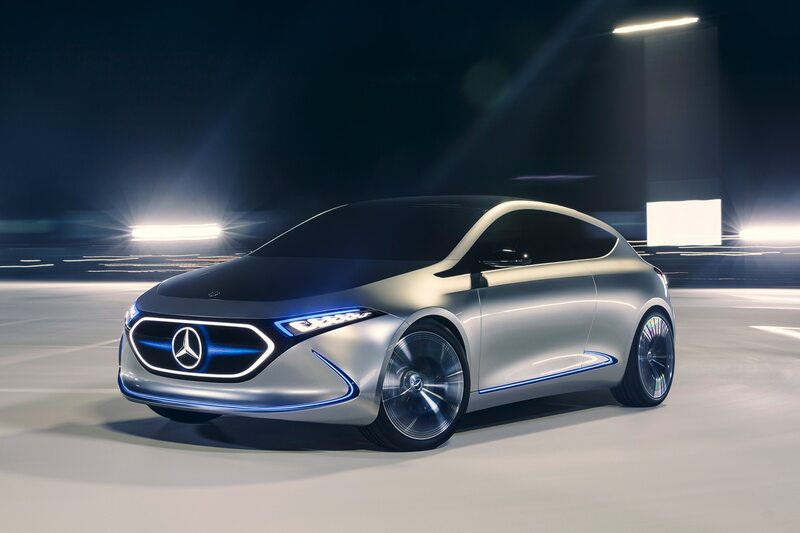 Two drive options, “Sport” and “Sport Plus,” offer a different front to rear torque distribution, that allow a choice of individual performance characteristics according to Mercedes-Benz tech gurus. 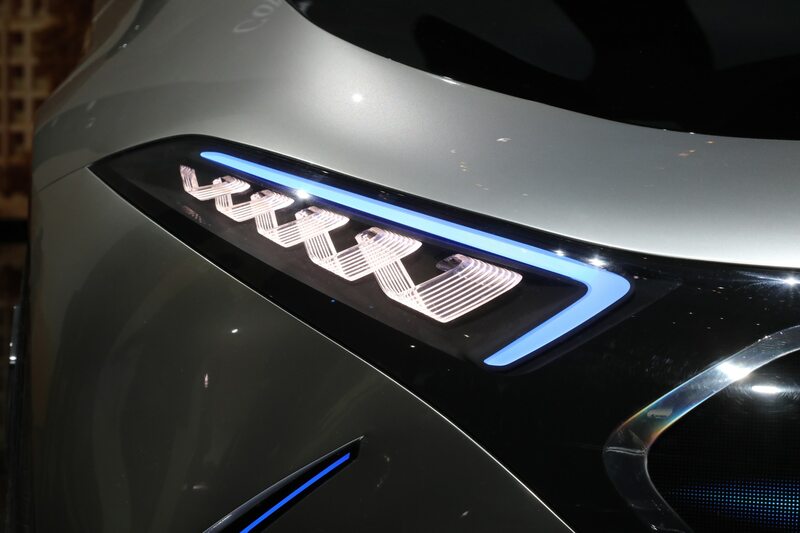 Up front, the black panel acts as a “virtual radiator grille” and changes its mug according to the drive mode. 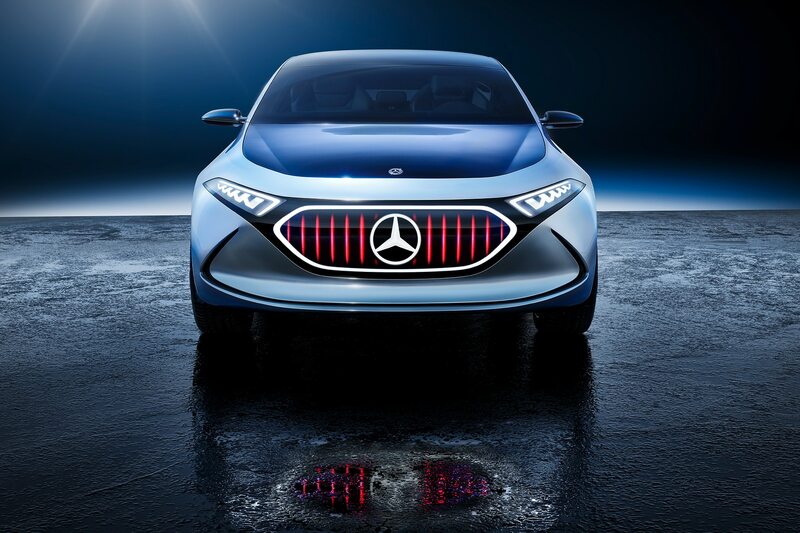 In sport mode, the grille displays a flaming wing in horizontal format, while in sport plus mode it flaunts the vertical struts of a Panamericana grille. Both variants get a bright, illuminated central star to help lead the way. 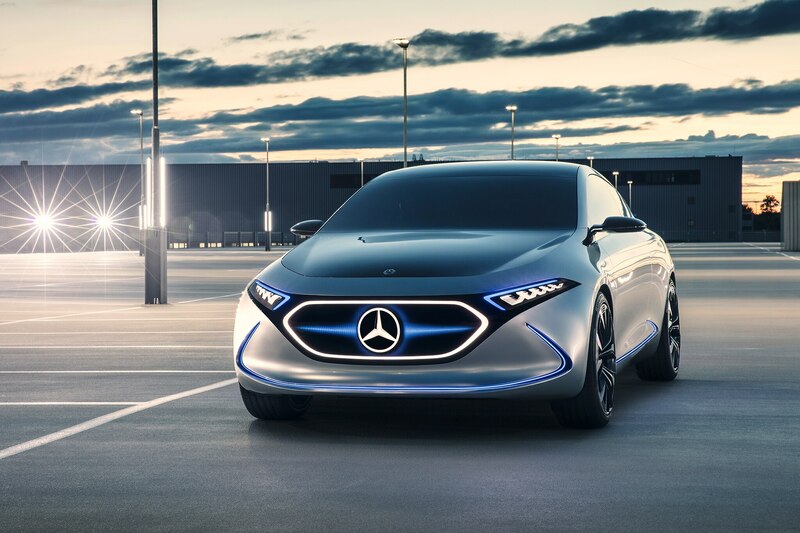 Mercedes-Benz claims that Concept EQA offers a range up to 250 miles, but this all depends on the battery pack that is installed. 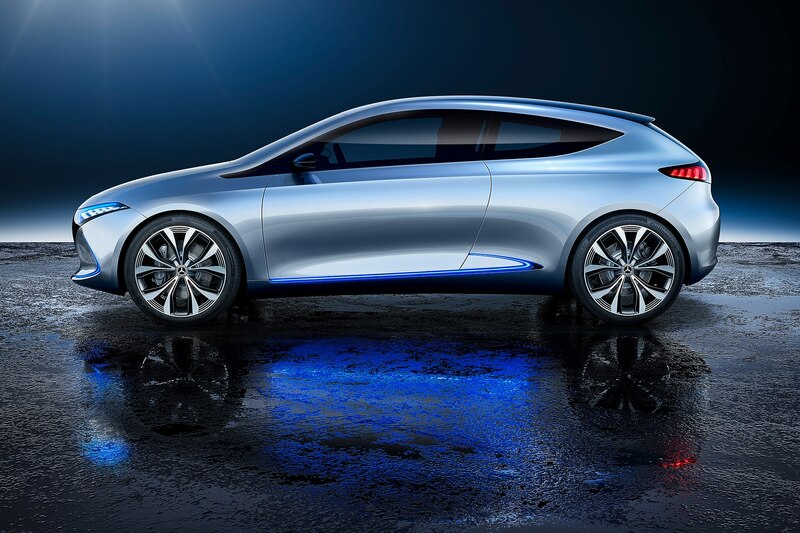 The concept vehicle can be charged at home or by rapid charging stations, says the maker. The lithium-ion battery features pouch cells provide a total capacity of over 60 kWh. 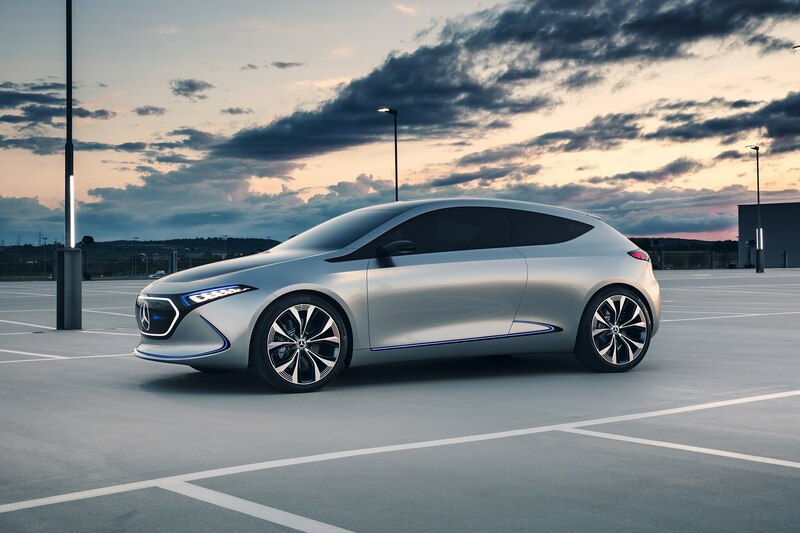 The cells are supplied by Daimler subsidiary Deutsche ACCUMOTIVE, which also provides batteries for its latest line of Smart EVs. “With our Concept EQA we have reinterpreted our design philosophy of Sensual Purity and developed the Modern Luxury into a Progressive Luxury for our EQ brand. 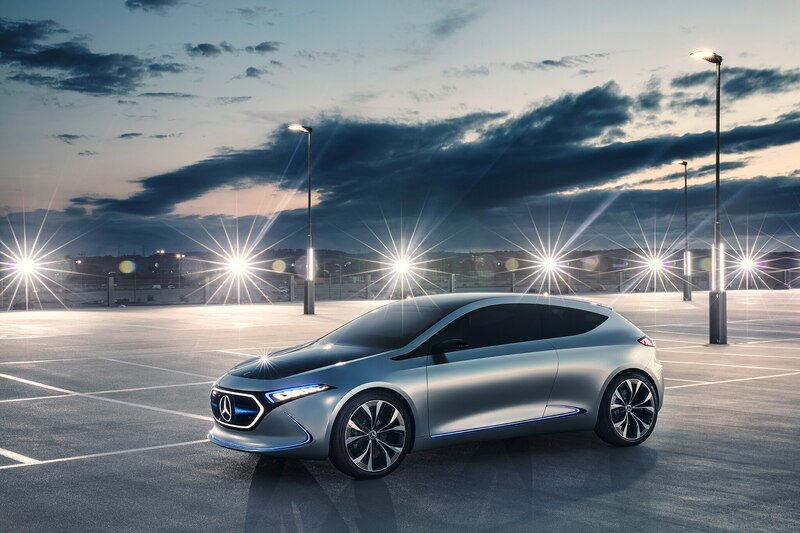 We eliminated creases and lines and reached the next level of purity,” said Gorden Wagener, Daimler AG chief design officer, in a release. The two-door has a wheelbase of 107.4 inches and measures 168.7 x 71.3 x 56.2 inches (L x W x H). 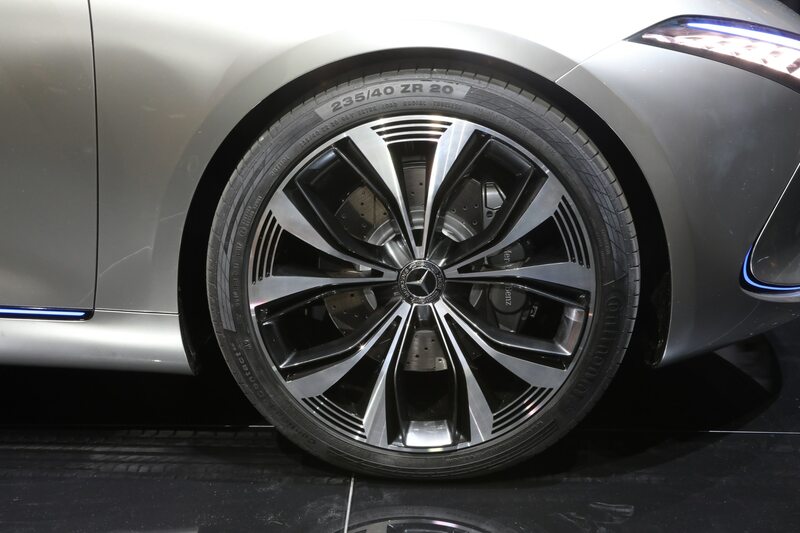 The 2017 Mercedes-Benz B-Class B 250e has a similar wheelbase of 106.2 inches and measures 171.5 x 71.3 x 62.5 inches. 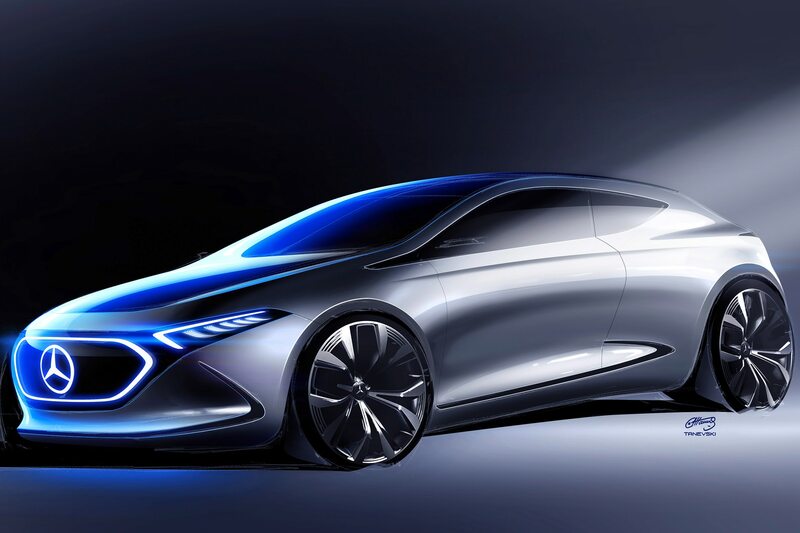 Concept EQA gets an “alubeam” paint finish, a black panoramic glass roof, large embedded laser fiber headlights and taillights, and rolls on 20-inch wheels. 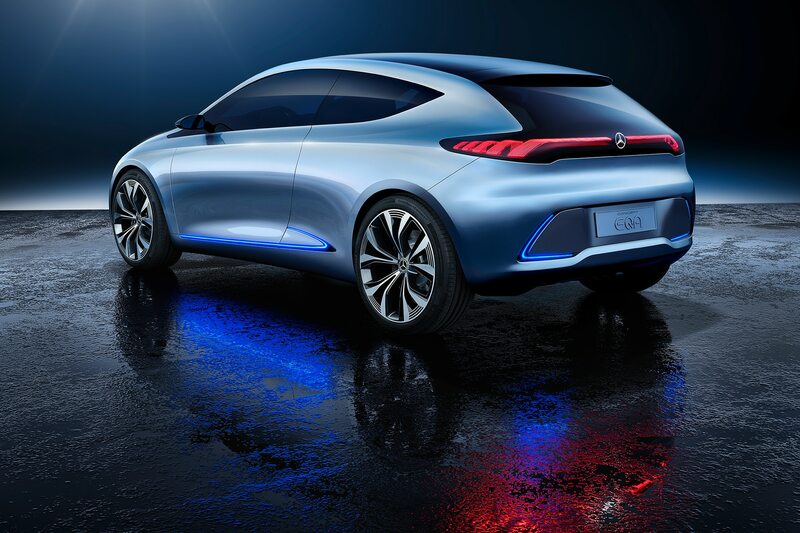 Mercedes-Benz says the EQC SUV, which is based on the Concept EQ that was exhibited in Paris last year, will be the first EQ vehicle to be produced in Bremen in 2019. 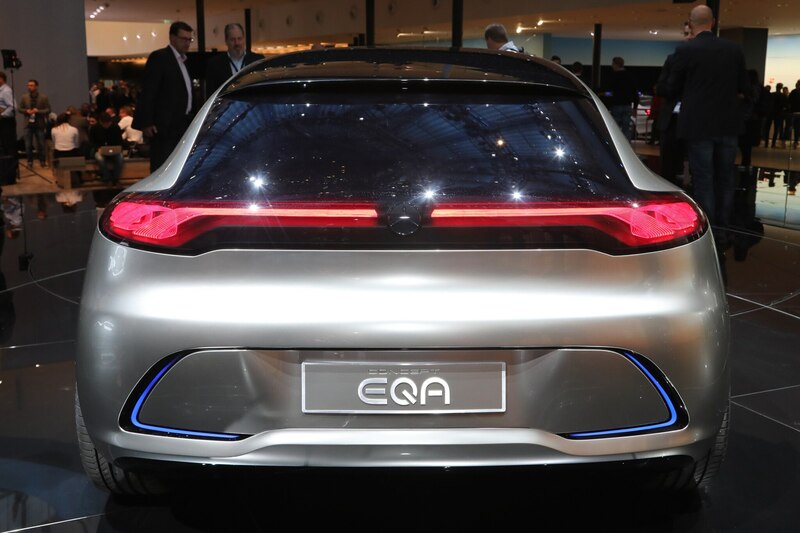 No timeline has been announced for the Concept EQA at this time, but we imagine it will follow closely after the EQC’s rollout.